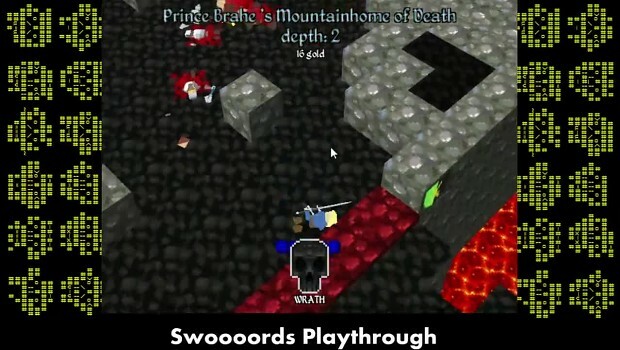 Swoords is GREAT! I play it once-in-a-while on my Chromebook with Ubuntu 12 on it. The Linux port is great and its pretty challenging. A quick playthrough of a game I found on IndieDB, Swoooords by Kenny Bachus, this game is fun and very fast paced, it is a little unpolished but it reminds me a teeny bit of binding of issac, hotline miami and brutal legend all stuffed into one, a great little game for short runs.